Following my latest post on Shopping fancy clothes in Canada I have to explain the reason I was living in Toronto. I was hired to work as an English/Spanish interpreter and translator because a new Zara store was going to reopen in the most important shopping Centre of Toronto, emblematic Eaton Centre, the most important city of Canada. Zara decided to own a big store in order to beat the competence which had already opened new modern stores at Eaton Centre, Toronto. Competence is huge in this sector and unexpectedly I was in an airplane direction North America with an expert in Zara stores. 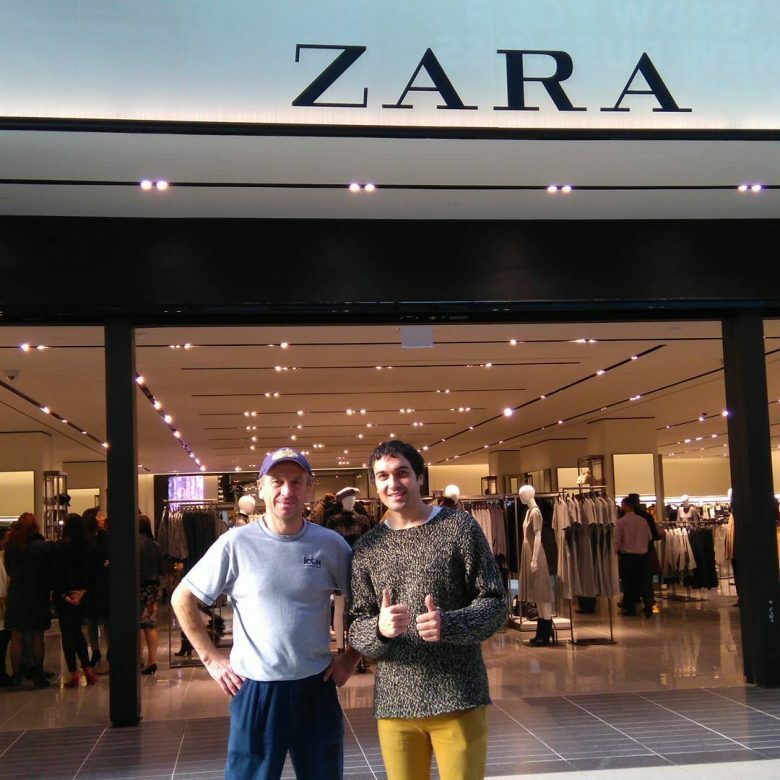 No matter how far or close a Zara store is located they all have to look perfectly similar. Overall, there are more than two thousand Zara shops in 88 different countries all around the world. This chain belongs to an important enterprise named Inditex which possess plenty of other retailer shops such as Pull and Bear, Stradivarius, Bershka or Massimo Duty, yet Zara is the most iconic one. Still, the owner of Inditex it is also the founder of Zara, Amancio Ortega who is the second richest man in the world after Bill Gates (although depending on the stock exchange one hour the richest is Bill Gates the next hour is Amancio Ortega). Zara is a very successful fashion label that never does any kind of commercials. However, it is one of the most popular fashion labels in history and I was going to work for them indirectly. In fact, the company that hired me works for Zara throughout the world ensuring shops are built, equipped and function accordingly. It is an exciting world and my experience it is one the best I have had in my working life to date. They usually work in other parts of the world but as an unexpected change of strategy did take place in the world of Zara they were sent to Canada by Inditex. English was essential as a result. We were the first ones to arrive at Toronto Eaton Centre and the last ones in departing, our labour was significant. We oversaw how the Zara shop was made from scratch until the first week of existence of this new store. Consumers love clothes of Zara and I felt privileged seeing how they were buying clothes after having ended our task in a positive manner. I had to translate anyone who needed my requirements and my command of both English and Spanish.